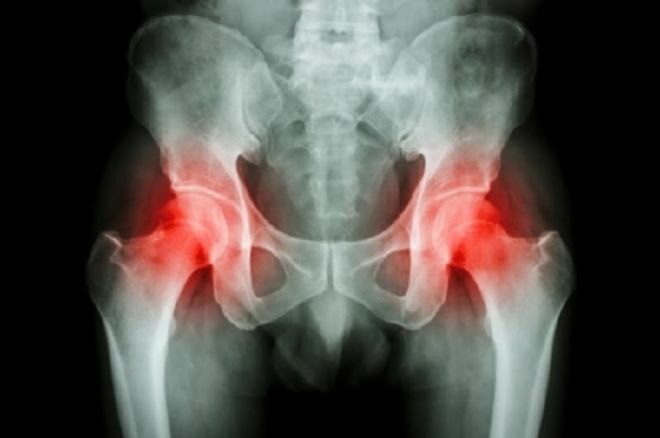 As we get older, many of us experience pain and stiffness in our hips. This is not surprising, given that the hips are one of the most hard working joints in the body and many common, daily activities take their toll upon them. Sitting in the same position for prolonged periods, twisting, turning and walking all have an impact over the years and if your hips begin to suffer, it can also cause a pain ‘chain reaction’ which can affect your knees, back and thigh muscles. Luckily, there are a number of simple, everyday stretches that can help you maintain supple, pain-free hips. The hip is a ball and socket joint which is designed to naturally facilitate a large range of motion. It is home to some of the largest muscles in the body, as well as some of the smallest, with each muscle having a specific function designed to allow the hip to flex, rotate and extend as required. 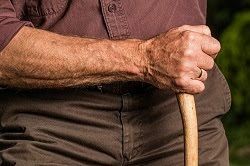 Gait analysis studies have shown that our stride becomes shorter as we get older. Shortened step length can be both a cause and symptom of impaired hip rotation. Tight hip flexors will cause us to walk with a reduced stride, while over time the tendency to walk with shorter steps will lead to tightness in the muscles and impaired balance. Hip stretches can be a great preventative strategy to help maintain posture and prevent falls as we grow older. As you age, other factors might lead you to become less mobile as well. The only activities that fully extend the hips are walking and running. It is important that we try to keep ourselves active for as long as possible, but if other issues have caused you to walk less than you once did, then hip stretches can compensate for the reduced extension of the pelvic muscles, and maintain the nimbleness of your hips. The following stretches are all designed to be performed at home, by people of any age. However, if you have chronic hip pain, long term back pain or arthritis, please consult your Doctor or Physical Therapist before committing yourself to any exercise plan. 1. Place a low chair or table in front of you and gently raise your leg on to it, while keeping your chest and back straight. 2. Bend forward at your hips (not your back) until you feel the muscle at the back of your thigh stretch. 3. Try and hold the position for as long as it is comfortable, 30 seconds is a reasonable guideline. 1. Lie on the floor near an open doorway. Raise one leg so it rests against an adjacent wall, while lying the other flat against the floor and through the open doorway. 2. Gently pull yourself closer to the wall so that you feel a stretch at the back of your extended thigh. 3. Try and hold the position for as long as you comfortably can – again 30 seconds is a reasonable guideline. 1. To stretch the left hip’s flexor muscles, kneel on your left knee and extend your right foot out in front of you so that it creates a 90 degree angle. You can put a cushion, or something similar, under the knee if you find it uncomfortable. 2. Rest your left hand on your left hip and push the left hip forward so that it moves ahead of your left knee, while leaving your right knee where it is. 3. Keep your chest extended and ensure that your hips remain straight – do not bend forwards. 4. Swap knees and repeat the exercise for your right side flexors. 1. Stretch your left side by sitting crossed-legged on a supportive chair with your left leg placed across your right leg. Your left ankle should sit on your right thigh. 2. Use your left hand to apply gentle pressure to your left thigh until you feel resistance. 3. Breathe out while tilting gently forward at the hips, keeping your back and chest straightened. It is important that you don’t adopt a ‘hunched’ position. 4. Hold the position for 30 seconds, or however long is feasible for you. Switch legs and repeat the exercise. 1. Work your left external rotators by again sitting on the chair, and crossing your left leg across your right thigh so your left ankle is resting upon it. 2. Take hold of your left knee with both hands and slowly press it up towards your left shoulder. 3. Press until you feel resistance; don’t go beyond this position as you may feel pain. 4. Hold the position for 30 seconds, or however long is comfortable for you. Switch legs and repeat the exercise. 1. Kneel on to your left knee and extend your right knee out in front of you at a 90 degree angle. 2. Breathe in deeply, then slide your right knee out to the side and back. 3. Exhale and raise your chest. 4. Swap legs and repeat the exercise for the other hip. 1. Kneel on to your right knee and place your left foot in front of you. 2. Slide your left foot out to the side and put both your hands on to the floor in front of you. 3. Now try to straighten your right knee slowly while leaning your upper body forwards. Relax your hips as you do so. 4. Gently rock the hips back and forth – it will change your posture so that all the muscles benefit. 5. Repeat for the other hip. 1. You can stretch both your long abductors at the same time by sitting with your legs placed together but stretched out in front of you and your back straight. 2. Gradually try and work your legs apart as far as they will comfortably go. Relax and hold the pose for a few seconds. 3. Breathe in deeply while using your hips to bend forward until you feel resistance. 4. Be certain to keep your chest raised and maintain a normal curvature of the back; the bend should be at the hips. 5. Hold the pose for as long as comfortable – 30 seconds if you can. 1. 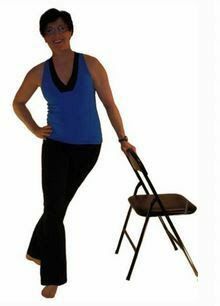 Stretch you left iliotibial band by leaning against a chair with your left hand, and placing your left foot behind your right foot. Point the toes of your left foot at a 45 degree angle or thereabouts. 2. Put your right hand on your right hip. Then push your left hip towards the chair while keeping your right leg straight. 3. Do not bend forward at the hips, or rotate the entire body. Make sure you remain upright keep your upper body in line with a wall. 4. Swap legs and repeat.